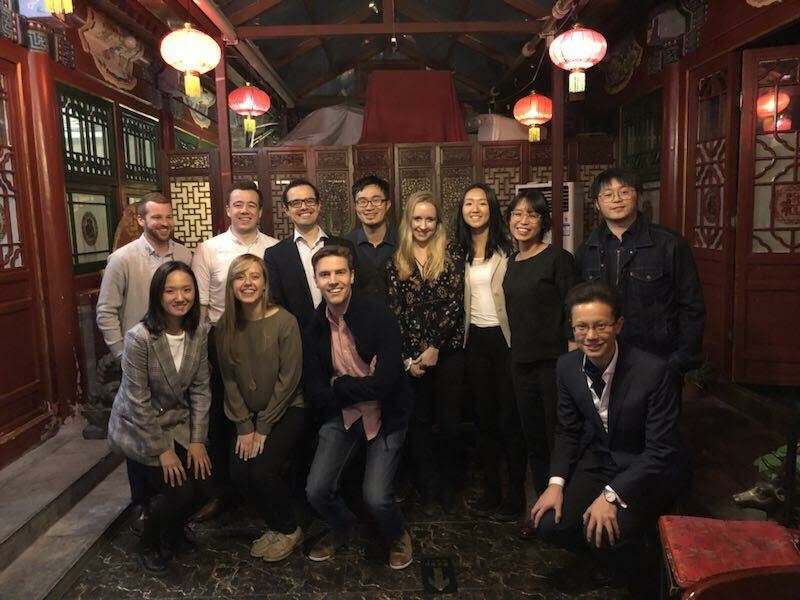 Carnegie Tsinghua Center Young Ambassadors and YCW Mentors were joined by YCW co-founder Raff Pantucci in April 2018 to discuss careers in the think tank world. Last year, I was a member of the third cohort of the YCW-Carnegie Tsinghua Center (CTC) Mentorship Program. The eight mentees were selected from the 2017-18 CTC Young Ambassadors who were doing their academic year internship at CTC, and came from both China and overseas. The mentorship program not only provided the mentees a platform to hear different perspectives on China from scholars and practitioners, but also built a platform for them to learn more about careers by engaging with mentors who were becoming leaders in their respective fields. At most events, a speaker would be invited to join us, give a short speech, and answer our questions. Topics varied from international relations to the technological space. Sometimes the topics were not limited to China, but could always spark a discussion on China as the mentors and mentees were all living in China, watching China, and trying to understand China. At one of our events, YCW co-founder Raffaello Pantucci, Director of International Security Studies at the UK think tank, Royal United Services Institute, talked about his field research experience in Central Asia and his understanding of the differences between China-based think tanks and international think tanks. I still remember our discussion about the development of thinks tanks in China in recent years and how to better manage them. Such conversations were very relaxing and productive, with none of the intimidation of raising a hand and asking questions at a big conference. The events provided us with a valuable opportunity to speak freely with professionals and speakers, and the discussion was always fruitful and enjoyable. I was particularly thankful to my mentor, Kyle Freeman, who offered pertinent advice on my career concerns and questions. I was able to consult with him on career-related issues, listen to his stories, and learn from him. The mentorship program was dynamic and I also learned a lot by communicating with other mentors. Lucky for me, another mentor, Peggy Tse, introduced me to Impact Sessions: a series of activities for professionals in the global development sector to share their insights and experiences. I even volunteered to help organize some of the events. I found all of these aspects of the mentorship program very meaningful, particularly being connected to a whole new network that was always happy to give career advice and an opportunity to learn something new. The most valuable part about the YCW-CTC Mentorship Program was gaining access to different perspectives, which gave us the opportunity and motivation to reflect on ourselves and our place in a changing China. The most amazing part to me was that half of us were Chinese students, so it became really interesting when listening to and communicating with overseas China-watchers. For most Chinese students, we spend our time living and being educated in China by Chinese; we have been shaped by China. As “native” China-watchers, we might be biased when trying to understand China because we are very familiar with it. Therefore, in my opinion, the most valuable part about the YCW-CTC Mentorship Program was gaining access to different perspectives, which gave us the opportunity and motivation to reflect on ourselves and our place in a changing China. Being part of the YCW Beijing Mentorship Program was truly a worthy experience. It helped me to make new friends, and build a lasting professional network not only in Beijing, but beyond—I look forward to engaging with the YCW DC after I move there, for example. All of us from our mentorship cohort are extremely grateful for the work of the YCW Beijing mentorship organizing team, especially Julia and Kevin! I know we all hope to keep in touch and maintain these meaningful relationships well into the future. Yingzi (Christine) Wang is an MSc candidate in Foreign Service at Georgetown University and holds a BA in International Politics from Tsinghua University.